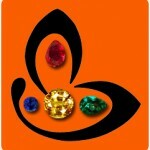 Comments A perfect gemstone! Absolutely flawless in every aspect! The finest golden yellow color, a superbly symmetrical cut, unimaginable clarity and a massive 3+ carats size! Filled with the essential attributes of Jupiter, and potent Sattvik and Jyotish powers this fully natural and untreated Yellow Sapphire from Ceylon is a delight! With such qualities and powers it is sure to deliver Jupiter’s best blessings like Good fortune, Knowledge and nobility! 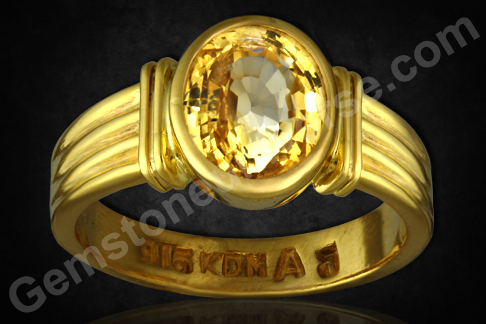 Has made a gorgeous talisman when set in this 22k Gold ring! Note: The above links generally exist on the website for a period of 40 days after which they are periodically deleted to make way for new gemstones and to enable faster browsing.